PARIS -- A key element in Renault's new Drive the Change strategy will involve improving capacity utilization in the company's plants. Announcing the company's new strategic goals for 2011 through 2016 on Feb. 10, Renault CEO Carlos Ghosn said he aims to boost capacity utilization in the automaker's European plants to more than 84 percent in 2013 from 64 percent now. An automaker typically needs at least 80 percent utilization for a plant to be profitable, researchers say. Ghosn also said Renault will boost capacity utilization worldwide from 83 percent in 2010 to 101 percent in 2013. Two-thirds of the capacity-utilization improvements will come from “adjusting capacities” and the rest will come from increasing Renault's and its partners' production, Ghosn said. However, Renault's ability to improve capacity utilization is limited because the government in its home country of France would oppose factory closures or large job losses, Carlos Da Silva, an analyst for IHS Global Insight, said. The French government owns 15 percent of Renault. However, reducing shifts will still have a positive effect on Renault's margins, Da Silva said. “Renault will not be burning as much money as it was before with too many production lines,” he said. • ELECTRIC CARS: With plans to have four electric vehicles on sale by 2012 and further new models to follow from 2014 to 2016, Renault-Nissan aims to put a cumulative 1.5 million EVs on the road worldwide by 2016. By 2015, the alliance will have a production capacity of 500,000 EVs a year. 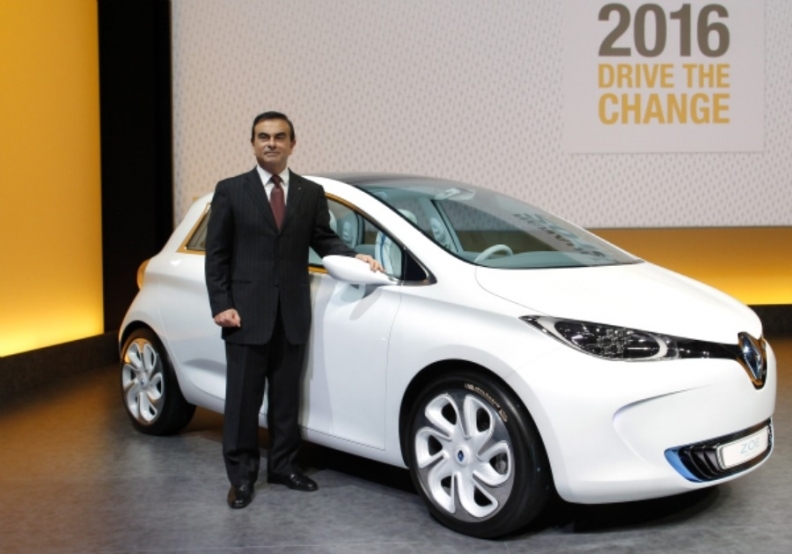 Carlos Ghosn with the Zoe, a car that will be Renault's volume EV. • GREENER CARS: Cutting fleet CO2 emissions in Renault's range to less than 120 grams per kilometer by 2013 and less than 100g/km by 2016 from 137g/km. Helping to cut CO2 emissions will be electric cars and downsized engines such as a new 1.6-liter diesel that Renault says will be the most powerful engine on the market with this capacity and offer the best emissions/power ratio in its class. It will be fitted on the Scenic and Grand Scenic minivans starting in May 2011 and will reduce CO2 emissions by 20 percent compared with the previous generation models. 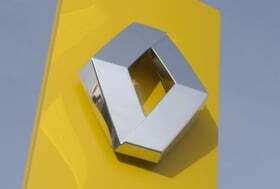 • NEW PRODUCTS: Renault group brands will have 44 models in 2013 and 48 in 2016, compared with 40 in 2010 and 30 in 2005. A new Twingo will launch in 2011, a new Clio in 2012 and, under the Dacia brand, a new family car and a small light commercial vehicle in 2012. • NEW DESIGN: Renault brand will have a new design language "with an emphasis on warmth and sensuality." The styling is shown on the DeZir and Captur concepts and will appear on the new Twingo and Clio. The Captur concept will highlight Renault's new styling when it debuts at the Geneva auto show in March. • SHARED PLATFORMS, PARTS: A new C/D platform will be shared with Nissan for mid- and upper-range models, leading to the production of 1.5 million vehicles a year. 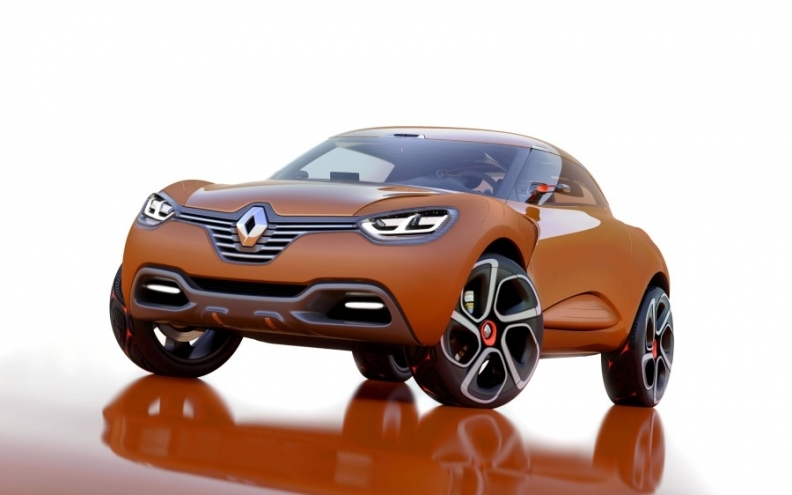 Renault and Daimler will share Renault's A platform to build future Twingo and Smart models. Renault is launching a new standardization approach based on the use of modules and will design parts from the start to be fitted on several different vehicles. • GLOBAL REACH: Brazil, India and Russia will be priority global markets. By 2013, Brazil is expected to become Renault's second-largest market with a 5 percent market share, Russia its fourth with a 6 percent market share and India its 11th with the launch of the Koleos and Fluence in 2011, an SUV in 2012, and six new models localized in India in 2013. The new strategy is Ghosn's first medium-term plan since the 2008 financial crisis, when he scrapped his “Commitment 2009” pledges of a 6 percent operating margin and 3.33 million sales the following year. Renault will target a operating margin of more than 5 percent by 2013 and is aiming for annual sales of 3 million vehicles in three years, up from 2.6 million in 2010.